Heat oil in a large skillet and sauté diced chicken, onion and garlic until fully cooked. In a separate pot combine all the other ingredients omitting mango. Bring to a boil and simmer for 15 minutes. 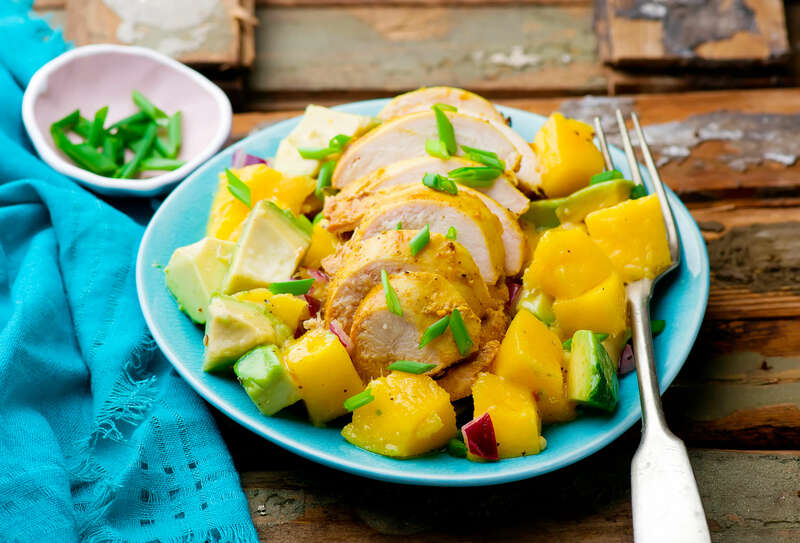 Add mango and pour sauce over the chicken and cook for a further 15 minutes. Remove from heat and serve over Comfy Coconut Rice.